The Mueller report on the investigation into Russian influence in the 2016 presidential election is completed, and while US Attorney General William Barr summarizes that it clears President Donald Trump of collusion, confusion remains around the issue of obstruction of justice. At this stage, I can finally say something I haven’t felt comfortable saying since November 2016: I think we’ve largely been asking the wrong questions. Years ago, we knew that Trump had unsavory financial dealings with Russian entities. That’s well-documented, and the bad actors around the President in this regard have mostly been found guilty and are facing prison. None of that goes to the heart of the central issue first raised in the 2000 election in Florida and repeated in the presidential election of 2016: What caused the polls to be so wrong about Hillary Clinton? Following the 2000 election, I conducted a multi-year investigation into what had unleashed the chaos in the aftermath of the voting in Florida. The inquiry was driven by two fundamental issues: Why were polls wrong about Al Gore winning Florida, and therefore the presidency, and why did the votes change during the recounting process? Over time, answers were found, and they had to do with irregularities in the punch cards as they went through the vote-counting machines and created the infamous “hanging chads.” There were concerns about how the cards were manufactured, the paper used in this process, about the depth of the perforations made on the cards, and about how the chads had performed once they’d been punched through. 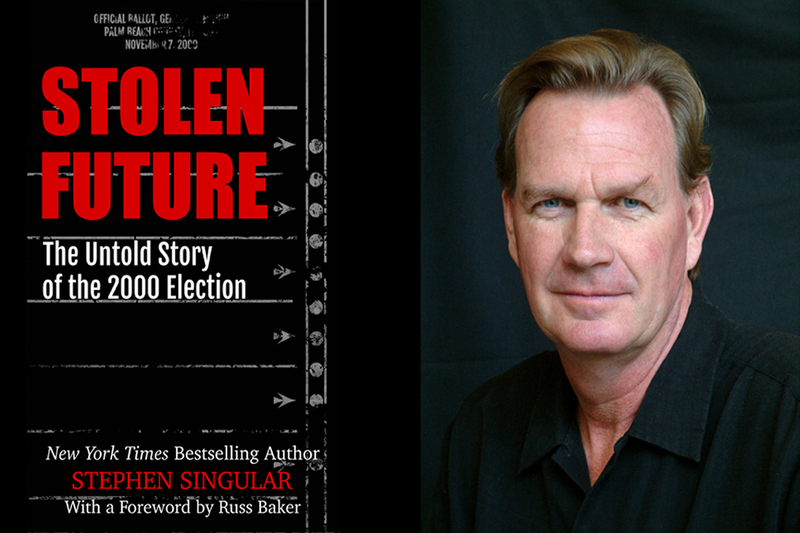 In October 2018, the answers I uncovered were published by WhoWhatWhy in the e-book, Stolen Future: The Untold Story of the 2000 Election. Everything about the investigation and the book was driven by the first question about the normally reliable polls being wrong. Dig deeply enough and you’ll learn more. Journalism matters. Big media was handed this Florida story in early 2001, but chose to ignore it. Watching the hatred brewed by Trump build and build over the past several years — displayed every night on major television talk shows — while also watching our election system malfunction yet again in the recent midterms, I’ve wondered if the president hasn’t been a secondary problem all along. I’m going out on a limb now to suggest that things went on in the 2016 presidential election that Trump knew nothing about, which is probably why proving collusion was so difficult. He’s a pawn in a much larger game. During the Cold War, the Russians learned many lessons about international conflict, but perhaps the most useful was that the best way to undercut an adversary wasn’t through military action, but more subtly and indirectly. When assessing the countries they wanted to influence or undermine, they sought out those that were already deeply divided from within and increasingly vulnerable to exterior forces — nations where political parties had lost their sense of common purpose and were constantly embroiled in fighting one another. A decade and a half into the new millennium, the United States perfectly fit those requirements. There was an era, not so long ago, when CNN, MSNBC, and even Fox presented the news at least some of the time. Today, the giant, 24/7 news networks are selling the argument — the profound disagreement — that America is having with itself. There’s very little news left on the air; the conflict is the content. The cable networks peddle it ’round the clock, and the smugness on both sides is so palpable that I can only watch for a few minutes before turning to something else. Almost everything in the programming is about being right and declaring someone else wrong. The master of that dynamic is Donald Trump. Far too many of us are now playing his game, whether we acknowledge it or not. 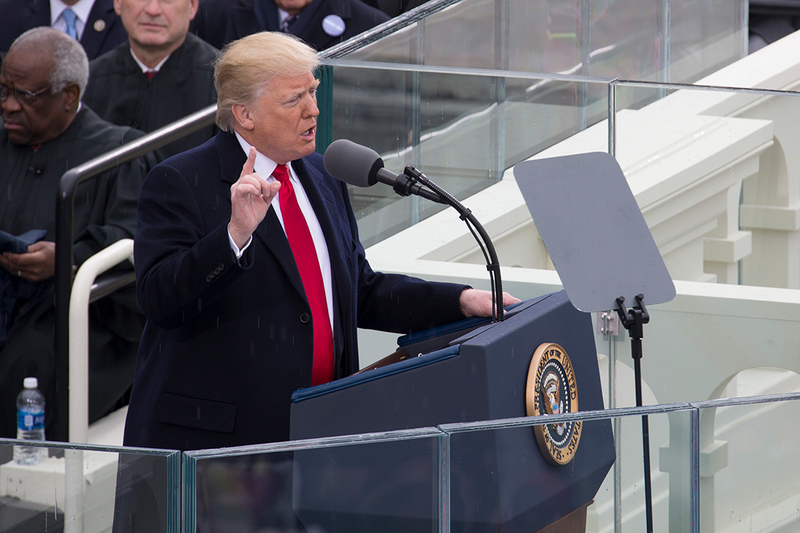 The specific target was the 2016 US presidential election, and the trolls chose social media giants Facebook, Instagram, YouTube, and Twitter as the battlefield. Their job was to create “distrust towards the candidates and the political system in general.” The budget for this initiative reached into the millions of dollars, and was paid for, according to an indictment, by Vladimir Putin associate Yevgeny Prigozhin. In years prior, the Russians had closely examined US culture to figure out which messages would be the most conflict-based, such as race, gun control, and anything else to deepen the chasm between Americans. The hackers set up accounts meant to look like those connected to Christian groups, Muslim groups, Black Lives Matter, etc., all in order to foster more division within the country. While America argued endlessly with itself, these Russian hackers placed malicious software — “X-Agent” — on the computer networks of the Democratic National Committee and the Democratic Congressional Campaign Committee, so they could steal information from these organizations at will. 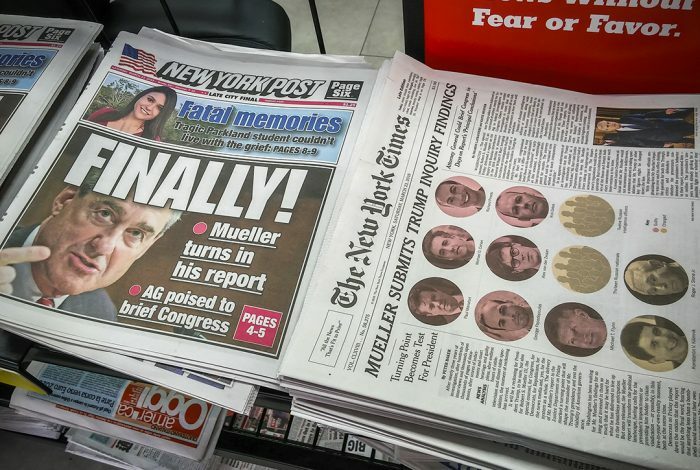 As the election neared, Russia mounted a “fake news” campaign in the US similar to the one America had employed to boost public opinion for the invasion of Iraq. They fabricated and widely publicized the story that fraud in the upcoming election — fraud carried out by Democrats — would subvert our electoral system and render the results illegitimate. Trump himself soon began echoing this claim, regularly appearing on television or elsewhere to announce how the voting would be “rigged” against him. Few in the media took this seriously because of the pervasive belief that Hillary Clinton didn’t need to rig anything in order to win. All the polls told us that. Trump’s numbers were so far behind that he couldn’t possibly close the gap. The Democrats began planning victory parties, coast to coast. The FBI and other intelligence-gathering offices, along with the Obama White House, all knew about this Russian interference in the presidential race. They assumed that the meddling was minor and that Clinton would easily triumph. Big media and the government had never gotten to the bottom of what caused the polls to be wrong in Florida on election night 2000, so we were doomed to place our faith in them again, and discount other possibilities. Everyone agreed that Russian connections to the GOP, however tawdry, would fade away, along with the Republican candidate. Why bother to intervene and tell the American people what they’d uncovered about this new round of election tampering? It didn’t really matter since the Russians weren’t going to affect the voting itself, were they? Better not to disrupt or upset anyone too much. Better not to look partisan or raise a fuss. It would all be over soon enough. Clinton’s win was in the bag. Once again, precisely as in 2000 and 2004, the general election results failed to match polling conducted immediately before voting began. We still don’t know why or how this happened. But there is one thing we can say, conclusively, about who won the disputed election of November 2016. The Russians emerged victorious, hands down. They’ve gotten us to fight with one another more tenaciously than the Kremlin might ever have dreamed. They have successfully gotten us to distract ourselves with an almost two-year investigation of the Trump presidency that has apparently ended with a deafening thud. We know nothing more today than we did on November 9, 2016, about why the polls were utterly misleading about that campaign. The Russian invasion of America’s social media, alone, does not account for this development. Nor does the Trump-Russian money dealings. This is not just a Donald Trump problem. Getting rid of him will not solve it. This is our problem — everyone’s problem, if you’re an American voter. Right before the 2016 election, Russian military intelligence hackers breached US computer systems connected to voter registration and electoral boards. When many citizens went to the polls to vote, they learned they weren’t registered and could not participate. Once the registration programs were breached, it was possible to modify or remove data from the system and to connect to actual voting machines. If that happened, then votes themselves were affected. That could explain why the polls were so off. It is extremely unlikely that President Trump would have known anything about this. The most honest thing I’ve heard him say about the 2016 election is that he kept his Russian political and business contacts alive during his campaign because he felt he had no chance to win, based on the polls, and wanted to stay involved with these people after he lost. He wanted to do the things he most cares about: promoting himself, making money, and expanding his brand. This is the information I’d have liked to see an investigation uncover and lay out for the population. We need it to help protect our democracy from those who’d destroy it, from within or without. But we got almost nothing, instead. The question lingers: Did the Russians, ultimately, affect the actual voting tallies in the 2016 election? Given their long-range strategy to harm the US, and their world-renowned skills at hacking and trolling, such a possibility remains the most haunting part of this drama. We all have a common enemy here — if we’re smart enough to recognize that. The Cold War isn’t over. It’s just gone underground, into our election system and into how we interact with one another as Americans. I don’t believe that our argument with ourselves is getting us very far, but it has blinded us to our deeper realities and vulnerabilities.